While the name seems to be self-explanatory, there are more careers under the umbrella of educational leadership than most people realize. Association for Supervision and Curriculum Development is one of the primary organizations for educational leaders. Educational leadership is essentially serving in a leadership capacity in one or more areas of education. Often, this position involves careers as building or district level administrators. It can also be classroom teachers, simply looking to understand multiple facets of the educational system. The Master’s of Educational Leadership is generally the first graduate degree where one can specialize in this area. Most often, a prerequisite of at least three to five years of teaching experience is required for admission into these degree programs. Almost all public schools require a Master’s Degree in Educational Leadership to serve in an administrative position within the school or district. Some districts specialize in one or more areas. For instance, it is usually not necessary for a district technology director to have a degree in educational leadership. Most districts would require a technology or computer related degree for this position. Different states have different degree requirements before they will allow an educator to sit for an exam that adds an administrative credential to their license. Make sure you check with your state Education Department before enrolling in any type of graduate degree program to make certain your planned degree will meet the requirements for licensure. Those holding the Master’s in Educational Leadership degree should understand that many doors will open. Serving as a building administrator is one of the more common positions for those holding this degree. In many colleges and universities, their educational leadership degree requires a speciality in either elementary or secondary education. This is in recognition that these two ends of the educational spectrum have their own needs and issues to consider. In fact, the National Association of Elementary School Principals is an organization specializing only in elementary educational leadership. While many states now are requiring an even more advanced degree than the Master’s Degree, such as the Education Specialist (EdS), or Doctor of Education (EdD), some states still allow for licensure as a Superintendent or Assistant Superintendent with only the Master’s in Educational Leadership degree. 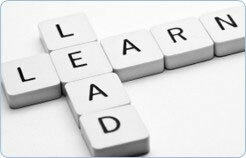 Many Directors of district departments will also ideally have the Master’s of Educational Leadership. The private sector has a number of positions for those in the educational field and possess a graduate degree in educational leadership. Educational cooperatives that provide professional development and further resources to schools and districts will often seek those with a Master’s in Educational Leadership. Consultants to underperforming schools also will possess this particular degree. There are a number of consulting companies that send these consultants into schools to view and assist with improving school operations. On the whole, it is worth noting that the degree offers many opportunities for individuals in K-12 education and private industry.